The guys from EVO have put together a great video of the Porsche 911 GT3 going up against the McLaren 570S. The 911 GT3 comes with 493 horsepower and 339 lb/ft of torque, the McLaren is more powerful with 562 horsepower and 443 lb/ft of torque. 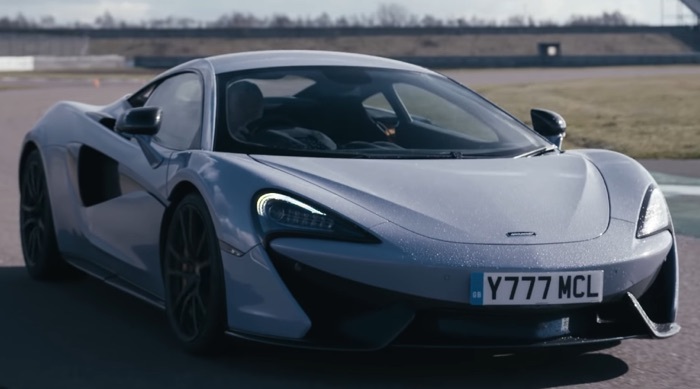 The McLaren 570S Track pack comes with top speed of 204 miles per hour and a 0 to 62 miles per hour time of 3.2 seconds, the 911 GT3 has a top speed of 197 miles per hour and a 0 to 62 time of 3.4 seconds, lets see how the two perform on the track. As we can see from the video both cars are impressive on the track, even though the McLaren has slightly more power, the Porsche 911 GT3 was slightly faster.